Dress up your suits this season with splashes of color and stripes this season with this gorgeously designed accessory from the Puccini Fashion House. This creatively hued necktie looks superb with so many key elements. 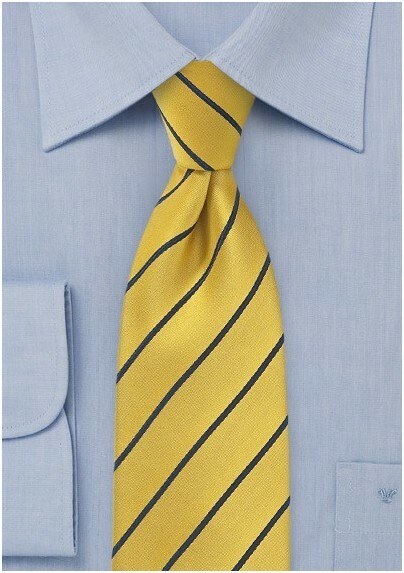 We recommend teaming this tie with a light chambray button down, a navy blue blazer and a coordinating yellow pocket square. 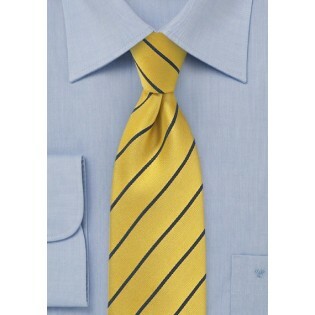 This designer necktie is made from a high quality microfiber.